The almighty “THEY” say adult coloring books are “supposed” to be relaxing. I loved coloring, I colored into my teens. Now I don’t think I would call it relaxing though. I have found that coloring actually causes me some stress. I guess when it comes to me coloring I’m a perfectionist, I’m not in ANY other aspect of my life. What happened to the sharpener? Did I go out of the line a little bit? Did I use this color already? Is there too much of color X? I don’t have enough variety of colors. Then I need to deal with my kids stealing my colored pencils and they ask if they can color a little bit of may page? Are you out of your mind? How could I find this relaxing? I know I need to loosen up, it’s just a coloring book. But this is the one and only thing I’m this neurotic about. What do you get neurotic about? I know people that need something like this to make this relax a little more. I can see how it can be relaxing! I have heard great things about adult coloring. I haven’t tried it myself but, I should. I think adult coloring books look cool, but I admit I have no patience for them. I would be so mad if I went out of the lines. My wife and I have started doing these on Sunday mornings to help us relax. All screens go off and we are able to sit out in the yard and just color. It’s very tranquil. I have tried an adult coloring app on my phone but not the actual pencil and paper stuff. I can totally see one small mistake aggravating my OCD. I adore adult coloring books. You should try out any of Johanna Basford’s – Secret Garden and Lost Ocean are my favorites! I love coloring with my kids. I have not used an adult coloring book before, but I am picky on my crayons being sharp enough. I love to relax while coloring a picture. I have a few books i like to work in. I just picked up a coloring book this week. I am going to get some good pencil crayons so i can color this weekend. File organization on my computer. I hate having everything crammed into the default drives and file structures. I love these… but only once a month. LOL. I have NO idea who have time for more! I have a Harry Potter coloring book. If you think those are bad, you ain’t seen nothing! The pictures are so small and intricate it makes you go crossed eyed, lol. I would absolutely be neurotic about adult coloring books for all of your same reasons and then some. The fact that the coloring pencil tip is so small making it take forever…I wouldn’t like the many striations caused by the pencil tip. I just simply can’t do it. I don’t see it as relaxing either. This made me laugh so much because I completely agree! My sister always loved coloring when we were kids and into our teens. She’d sit for hours quietly and peacefully coloring, and even then, it was so difficult for me to just sit down and enjoy it. oh this looks so cool. i would def be interested in trying something like this. I love this. I bought a couple for myself and of course my kids ended up stealing them. 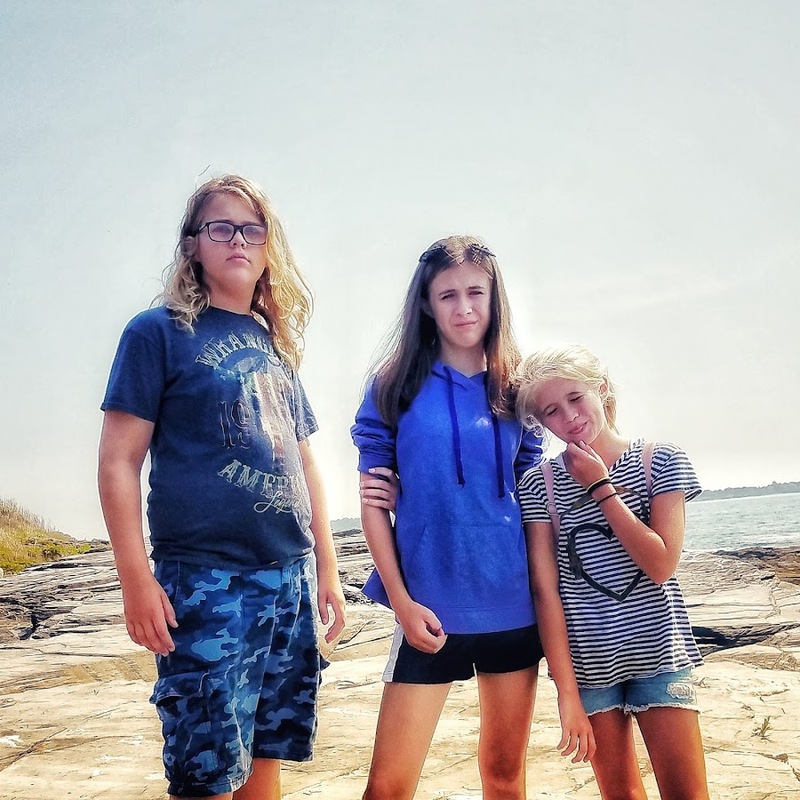 My girls love them more than children, but when I did get to use mine the few times I did I noticed the benefits, and was so much calmer and relaxed! My mom sai the same thing as you about most the adult coloring books! 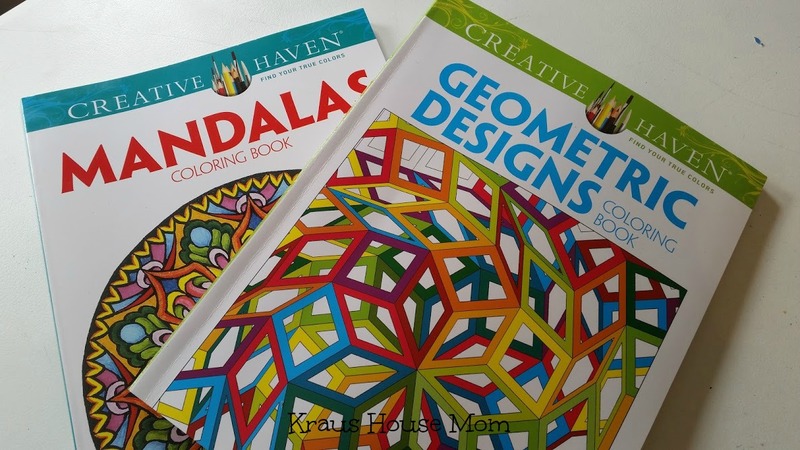 I haven’t tried them out but love to color with my kids. Haha! I can definitely see how these things would be stressful. I haven’t really tried any adult coloring books. Adult coloring is becoming increasingly popular, many people seem to relax doing it. I love how it works for you! 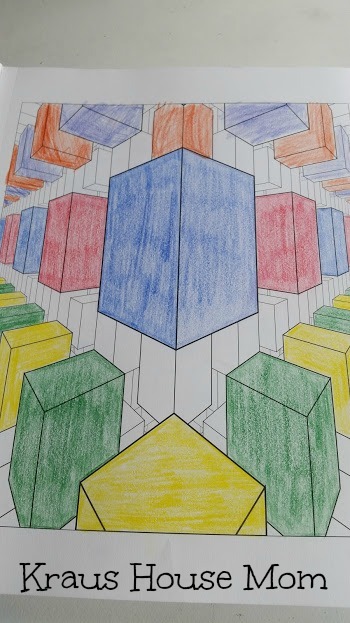 My middle child actually colors to relax – it is even part of his 504 plan! I think adult coloring would work very similarly as it does for him. I have to try it! I’ve ALWAYS found coloring to be relaxing so I find it funny that it’s “trendy” now and everyone is doing it. I have a few adult coloring books but I actually prefer simpler coloring books. I’m too much of a perfectionist to do adult coloring. I find that I like the idea far more than actually doing it. I have a couple and I never use them! I really enjoy colouring while I watch tv. So relaxing! Just bought my first adult coloring book. I’ll be working inning next week. I’m looking forward to relaxing and just getting lost in the colors. I love coloring books. I collect coloring books and seldom work on this at night. It’s my therapy whenever I’m bored. I have seen some really pretty adult coloring books. I may need to invest in one!! I’m OCD, so I’m neurotic about all of the things. Crafting is my outlet though. I get all in my zone and tune the world out.